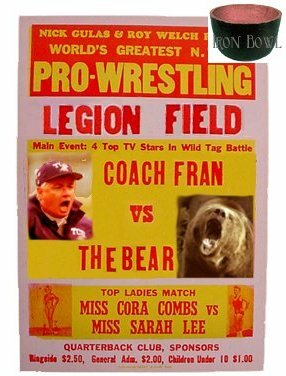 Tuscaloosa() Alabama coach Dennis Franchione, eager to prove he is still qualified to lead the Tide, has agreed to wrestle a bear at Legion Field before next week's game versus Texas-El Paso. Franchione has decided to go shirtless with a coating of olive oil in order to entice the fans. "I also think the slick coating will make me hard to get a hold of," said Franchione. "Kind of like those South Carolina players." Alabama athletic director Mal Moore denied that this was simply a publicity stunt to draw more fans to a certain blowout at the unpopular Legion Field. "Actually we feel that coach Franchione has something to prove to us, himself, and the fans. This wrestling match will help him do that, and help us decide his future." In one concession to the fans, the university has decided to allow food to be thrown onto the field during the match. In addition, beer will be sold in bottles to the first thousand fans. "It's not a promotional gimmick," insisted Moore. "We just thought it was time the fans got to do a little more than run their mouths about the team's problems. This gives them a tangible outlet for their frustrations." For his part Franchione has guaranteed a victory. "I will vanquish the bear once and for all. Then we will go on to win the rest of our games this year in order to play in the Outback Bowl." The bear has apparently not agreed to any of this. 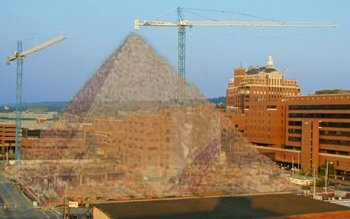 UAB() Teams of laborers have gathered in monument valley to begin work on a massive stone tribute to the life of Mayor Arrington. The tomb will join other highly visible sites in the valley including Vulcan's pedestal and Sloss Furnaces. The construction, expected to last thirty years, is being overseen by Chief Stonecutter Azhir Safim and his twelve teams of indentured servants. "I have found the best people for this work in these twelve groups," said Safim. "They complain a lot, but they work hard late into the night. I have had some trouble with the Mountain Brook group not wanting to work Saturdays, but it hasn't slowed us down." Safim reports that the complex foundation will be ready within the year. The underground network of twisting passages is necessary to house Arrington's extensive collection of legal documents, and to conceal the entrance to the tomb with its vast hoards of wealth. When completed, the tomb will be covered with a gleaming layer of alabaster, cut from the newly reopened quarries south of town. The tomb will be the largest yet in Alabama, far eclipsing the meager resting places of Bear Bryant and George Wallace. Separate rooms will be built for the Arrington women, including daughter Erica and wife Brenda. In order to house all of their possessions, including City Stages memorabilia, the tomb will have to cover the entire block. However, there are plans to leave a small space at one corner for a plaque dedicated to Martin Luther King Jr.
Hoover() With the absence of football over the weekend of September 15, several students from the University of Alabama and Auburn University staged their own form of collegiate competition with the first ever Alabama-Auburn Magic tournament at The Lion and the Unicorn on Lorna Road in Hoover. Players were placed into brackets using an algorithm derived from the WTA ranking system and Jeff Sagarain's NCAA power rankings. Each team's total score was the accumulated number of wins scored by its players. Alabama won the team competition with thirteen victories to Auburn's 11. 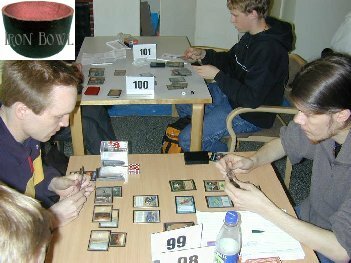 "Our strategy was to use mostly three color decks," said Alabama team captain Larry Hodges. "That keeps it much simpler for us." The final match of the day was an individual competition featuring the best player from each university. In this match Auburn's Scott Dempsey, who prefers to be called Gorak, prevailed after casting his third Stormscape Battlemage of the game. Paying the kicker cost allowed him to destroy the Skizzik, which had just been brought into the game by his opponent, 'The Warlord' Bradley Jenkins. "I really thought I was gonna be able to play my tsunami, which would have destroyed all his islands," said Jenkins. "But I never got a chance." In response Gorak said, "I knew he had some of his best spells waiting once he played Skizzik. I just had to remove that card and attack him with an all out assault. I'm glad it worked." Upon being declared champion Gorak was awarded a foil Draco from The Lion and the Unicorn, and a new Lincoln Navigator from Bobby Lauder. The tourney attracted nine fans. Next year's 'Iron Cauldron' is tentatively scheduled to take place in August, but will remain tentative until the southeastern Marvel Comics and Star Trek convention schedules are released. Downtown() Responding to the near dual tragedies of Aldrich Gunn and Bill Johnson being unable to run for re-election to the Birmingham City Council, southside resident Alice Durkee has established a fund to help pay the registration fees of incumbent councilors. "It's the least we can do," said Durkee. "We can't afford to let a power vacuum develop by having untested candidates succeed at winning elections." The crisis began when Council President Pro-Tem Aldrich Gunn apparently failed to submit his registration along with the fifty dollar fee in time to be on the ballot in November. The fee was due in the registrar's office no later than September 21. 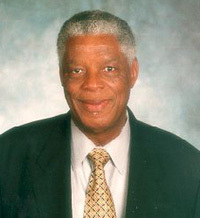 Gunn's trusted aid Hezekiah Jackson was to have submitted the paperwork on September 19, but decided to run for election himself. Before Gunn realized his mistake in trusting Hezekiah, it was September 21 and the registrar's office was already closed. Acting with expert shrewdness, Gunn slipped his completed registration and fifty dollars under the office door. When the registrar refused to process his application, Gunn filed suit saying that his application had indeed made it into the registrar's office on September 21. The judge agreed even though it is difficult to imagine anyone else being able to get into the building after hours to submit such paperwork. In a similar close call, Councilor Bill Johnson almost forgot to file his application until being reminded by a local talk radio show host. Both of these incidents have revealed the fragile nature of Birmingham's democratic process. "Imagine if these candidates had not been allowed to run," said Durkee. "How would anything get done in this city with inexperienced leadership? These guys [Johnson and Gunn] really know how to grease the wheels. It would take years for anyone else to become as adept at manipulating the system." Most city residents seem to agree that this is not the time for new leadership. The City Council Fund (CCF) has already received over three hundred dollars in donations. "This is enough to fund six councilors for the next election," said an excited Durkee. Those wishing to donate can visit the CCF web site or can contact Donald Watkins.